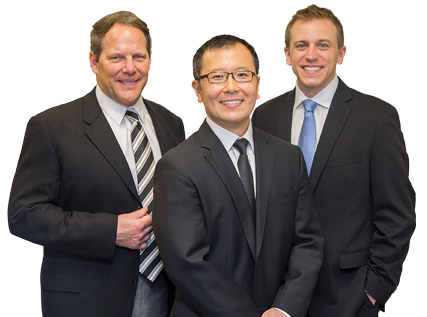 Maple Grove Family Dental Clinic is proud to have served the residents of Maple Grove and its surrounding communities for over 33 years. We're a family-oriented practice with professional, caring dentists who all live in the community and actively support it. We've now had the sincere pleasure of caring for three full generations of our client families! Our friendly staff provides full-service dentistry for patients of all ages. Beginning with preventative dentistry as early as age one, we continue to promote a lifetime of healthy teeth and gums for children, teenagers, adults and seniors. From regular routine checkups and cleanings to restorative dental procedures, periodontal gum disease treatment, cosmetic dentistry, root canal therapy, implants, and extractions — our experienced doctors are capable of handling any and all of your dental needs. We take pride in providing dentistry to patients from all around the Twin Cities area including Maple Grove, Plymouth, Wayzata, New Hope, Crystal, Minnetonka, Minneapolis, Golden Valley, Brooklyn Park, Champlin, Osseo, Rogers, Hanover, Monticello, Buffalo, Albertville, Otsego, St. Michael, Orono, Corcoran, Elk River, Anoka, Andover and some who travel to see us from as far as St. Paul and Burnsville.